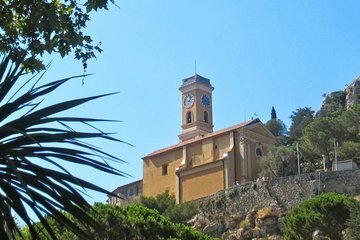 Utforsk naturens skjønnhet og kulturelle høydepunkter i Frankrike på denne halvdagstur fra Nice. Det er den perfekte turen for reisende med begrenset tid, som vil spare tid på å undersøke ting å gjøre, og nyt en godt planlagt, handlingspakket reiserute i stedet. Du vil reise i et komfortabelt kjøretøy mellom spredte attraksjoner, inkludert middelalderbyen Eze, Monaco og Monte-Carlo. Et høydepunkt på turen er et besøk til Monaco Grand Prix-banen. I really enjoyed this tour and my guide Izzy was knowledgeable, accommodating and super friendly. Definitely recommend. The guide, Parfait, did a great job explaining all the places we visited and he was funny too. Kept up entertained. Well worth it! We absolutely loved our tour. We had a really lovely guide who took us around and stopped off at all the right places. It was amazing. Only sad thing was it came to an end. Would definitely recommend and cant wait to do it all again soon. Had a terrific time with our host Justin. 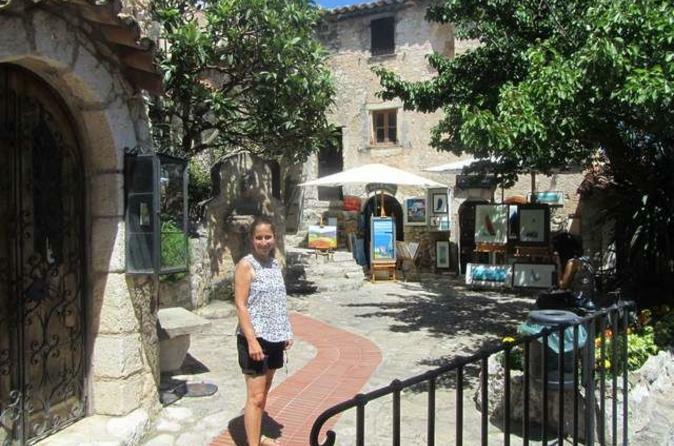 Eze is simply an amazing place, sadly the tour does not allow you to really enjoy its splendour due to time limitations but it certainly gives you a feel for it, and you can get a bus back to spend a whole afternoon there from Nice for under 2. The perfume factory was really interesting, plenty of great scents to refresh yourself on a hot day! I get why the rich and famous like Monaco and Monte Carlo - prestige, beautiful things etc, but in this case the trip gave me as much time as I needed to see the sites. It was a shame there was a concert going on in the cathedral so we were unable to see the final resting place of Princess Grace. All in all a great taster of the area, fantastic photo opportunities, great guide, comfortable minibus.